A Florida teen is only 18, but already has a steady income for the rest of her life. 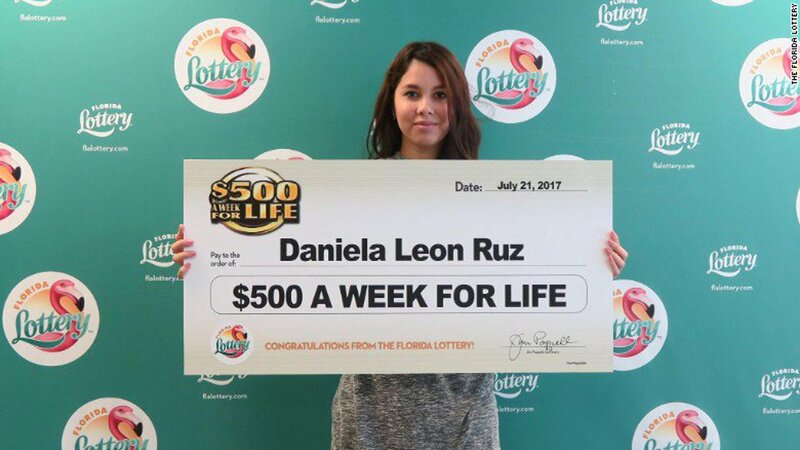 KABC-TV reports, Daniela Leon Ruz bought a $1 scratch-off ticket at her local grocery store for the Florida lottery's "$500 a week for life" game and won the grand prize. Her odds at winning were 1 in 6 million. Instead of taking a lump sum payment, she chose to receive yearly payments of $26,000 for the rest of her life.